Look! Up in the sky! It's a bird! It's a plane! No, it's the "Antony Gormley's Event Horizon"! OK, I couldn't resist that introduction, as I recently spent a whole afternoon looking up into the sky at building tops around Madison Square Park, located at 5th Avenue at 23rd Street in Manhattan, to view the Event Horizon art exhibit. If you look closely at the photo above you will see the images of a man on the top of three different buildings. 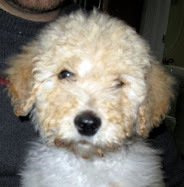 You may have to enlarge the photo (and all photos) by clicking on it once and then again when it reopens on a new page. Can you see them? I enlarged a section of the photo above so you can see the figure standing next to the water tower on top of one of the buildings. The Madison Square Park Conservancy is presenting the British artist Antony Gormley’s "Event Horizon," as a landmark public art exhibition, as part of Madison Square Art 2010. The exhibit runs March 26 through August 15, 2010. 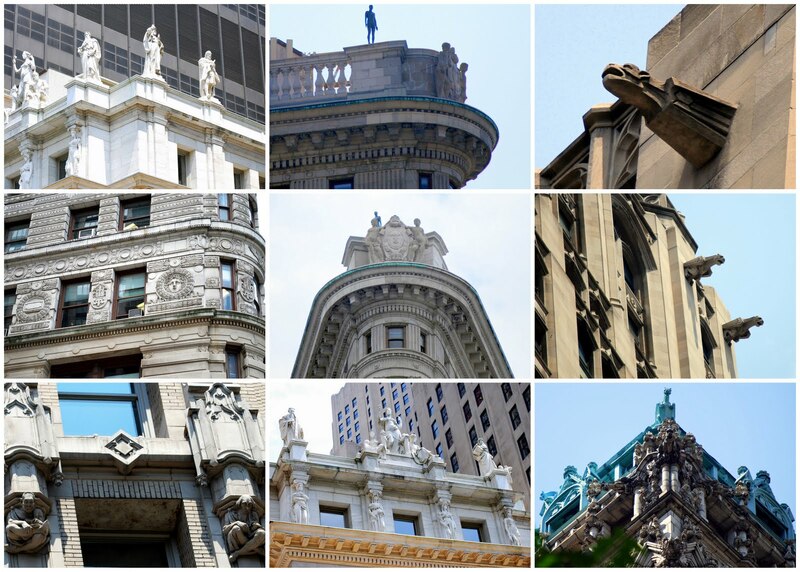 Four life-size body forms of the artist cast in iron inhabit the sidewalks of historic Madison Square Park, as well as 27 fiberglass figures positioned on the rooftops of the many architectural treasures of New York’s vibrant Flatiron District. A map of all their locations can be seen on the Event Horizon web site. Can you see the figure in front of The Empire State Building? "Event Horizon hopes to activate the skyline in order to encourage people to look around. In this process of looking and finding, or looking and seeking, one perhaps re-assess one's own position in the world and becomes aware of one's status of embedment." There was some controversy when this project was first initiated that people on the street, unaware of the art project, would fear that the figures were actual people; potential jumpers on the verge of committing suicide. For the most part this did not occur, as there was enough publicity before the installation of the figures to inform the public of what they were. I actually enjoyed searching the buildings for figures, as did many around me who were also on a quest to see how many they could spot. I think most New Yorker's become immune to the splendor of the city around them and are basically walking head down trying to get from point A to point B with as little interruption as possible. An art installation such as this makes even the most rushed city dweller stop for a moment and look up, and perhaps see with new eyes what he or she has been passing countless times without notice. Some figures were not easy to see, and it became almost a game to try to pick them out. Can you see the figure on the circa 1909, 700 foot high, landmarked Clock Tower that faces Madison Square Park? Perhaps now you can see him in the corner of the terrace on the tower? Even the iconic Flatiron Building had a figure peering over the edge. Here it is at the very top. This video shows Antony Gormley in the process of choosing the sites for the statues. I like the panorama of the city he had from the top of the Flatiron Building, and his statement that "Manhattan is a living laboratory of possibility of how human beings can live together." It is definitely an unusual and eye opening art exhibit, and if you don't get a chance to see it personally, I hope you enjoyed my photographic selections of it. 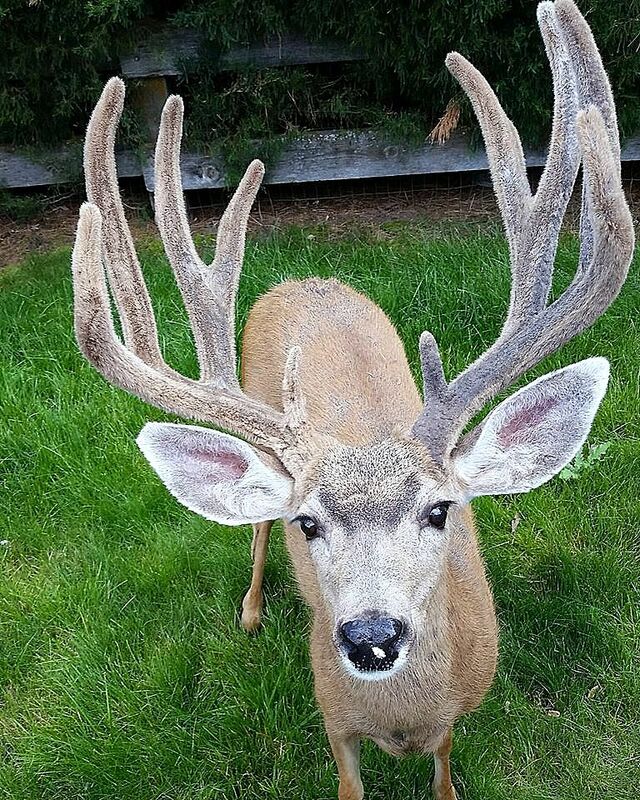 I'm adding this post to the "Outdoor Wednesday" event on Susan's A Southern Daydreamer blog. Please look at Susan's blog on Wednesday to see the links of participating blogs with their fabulous outdoor posts. New York City is full of beautiful and interesting architectural gems. 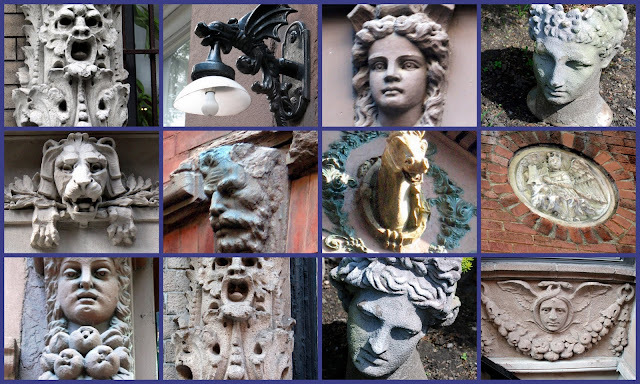 There is an abundance of friezes, sculptures, gargoyles, columns, corbels, balustrades, colonnades, festoons, rosettes, etc., all around the city. All you have to do to see them is to look up, as very often they are high in the sky. 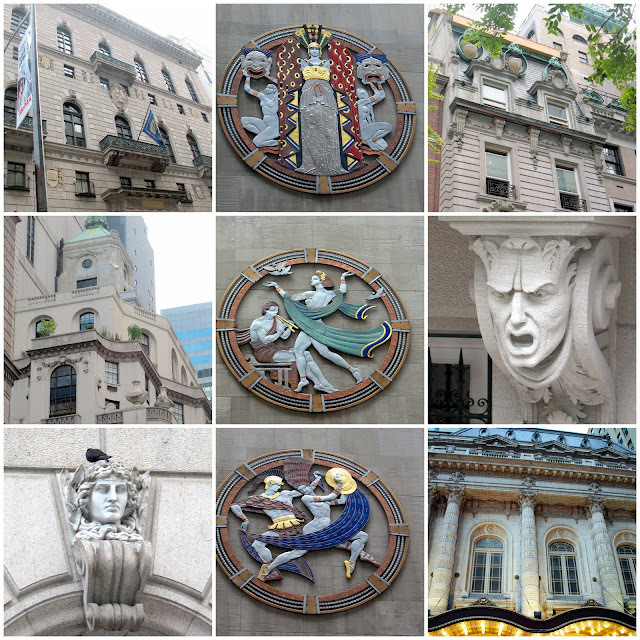 I love to wander through different neighborhoods in the city to record them with my camera lens, and I thought that I would show you some of my favorite images today in photo mosaic form. All the photo mosaics will enlarge if you click on them once, and then again when they open on a new page. Use your browser's back arrow to return to the blog post. Most of the images in the collection above were seen on buildings and in gardens in the Greenwich Village neighborhood of Manhattan. 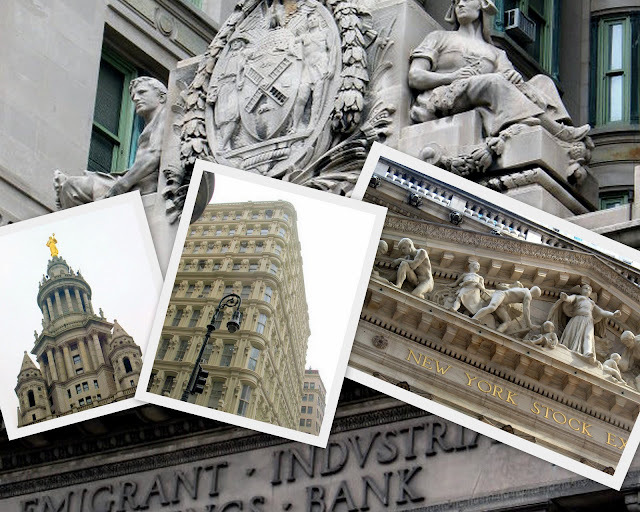 This photo mosaic shows four ornate buildings in Lower Manhattan. This collection was taken in Midtown Manhattan. The 18 foot high painted enamel medallions that you see in the middle of this mosaic are on the wall of Radio City Music Hall. They were designed by Hildreth Meiere and placed on the building in 1932. From the top down they represent Drama, Song and Dance. This collection is from the very fascinating Flatiron District in Manhattan, in an area surrounding Madison Square Park. 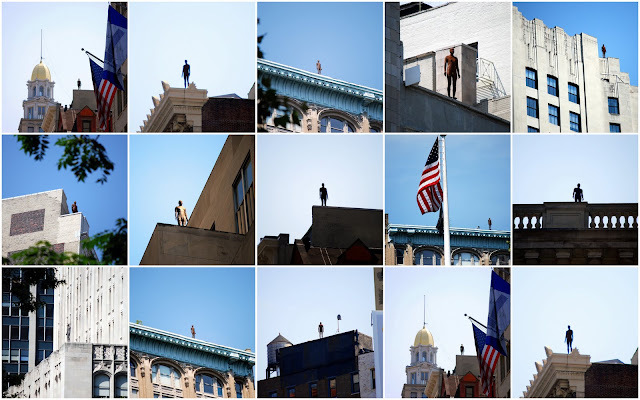 Are you curious to know who that man is standing on top of the Flatiron Building? Come back Wednesday and I'll tell you about him, and 26 others like him. I'm linking this post to "Mosaic Monday" on Mary's blog Little Red House. 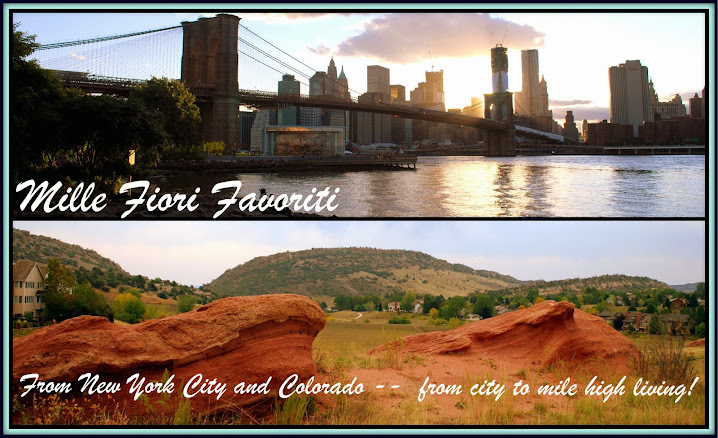 Please visit Mary's blog today to see the links of all the blogs participating this week with their wonderful photo mosaics! 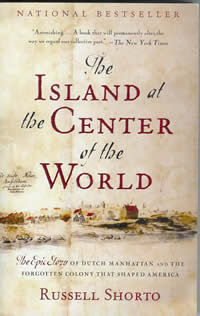 I read this fascinating historical book recently about an almost forgotten period in American history, called "The Island at the Center of the World." It is about the Dutch colony of New Netherlands that was located on the east coast of North America in the seventeenth century for over fifty years, until the English gained control of it in 1664, and turned its capital, New Amsterdam, into New York City. Journalist and historian Russell Shorto was inspired to write this book when he learned about the New Netherlands Project which is based at the New York State Library in Albany, New York. For the last 30 years historian and linguistic scholar, Charles Gehring, has been translating 400 year old documents from New Amsterdam that were stored in the library for the project, and Shorto then interpreted them into a enthralling tale of the beginnings of the greatest city in the world. Inspired by this book, I went out to find a little bit of the Dutch history that I read about, and I took a trip into the East Village/Lower East side neighborhood of Manhattan to visit Saint Mark's Church in-the-Bowery, located at 131 East 10th Street, at the intersection of 10th and Stuyvesant Streets and 2nd Avenue. It is located on the oldest site of continuous worship in New York City and it is the second oldest church in Manhattan. The church history from it web site states: "The St. Mark’s Church and its yards are just a few reminders of the once vast “bouwerie,” or Dutch plantation, which Peter Stuyvesant, governor of New Amsterdam purchased in 1651 from the Dutch West India Company. When Stuyvesant died in 1672, his body was interred in a vault under the family chapel he’d had built in 1660. In 1793, Stuyvesant’s great-grandson, Petrus Stuyvesant, donated the chapel property to the Episcopal Church with the stipulation that a new chapel be erected and on April 25, 1795, the cornerstone of St. Mark’s Church in-the-Bowery was laid." The site is officially listed on the National Register of Historic Places and was designated a New York City Landmark in 1966. An information plaque on the exterior of the church giving a brief account of its history. The bust of Peter Stuyvesant is located in the churchyard. He served as the last Dutch Director-General of the colony of New Netherland (New York) from 1647 until it was ceded provisionally to the English in 1664. The bust was designed by Dutch sculptor Toon Dupuis, and presented to St.Mark’s by Queen Wilhelmina of Holland and the Dutch Government on December 5, 1915. After losing the New Amsterdam colony to the English, Stuyvesant was recalled to Holland. He later petitioned to return to his beloved renamed New York, and died here in 1672. He is entombed in a wall in the St. Mark’s Church east yard, and and six generations of his descendants are also found in the churchyard. The black marker in the photo above shows the location of his tomb. "Here (Peter Stuyvesant) built a manor and chapel. Here he would live out his life and be buried, and here, over the parade of centuries, flappers, shtetl refugees, hippies and punks – an aggregate of local residents running from Trotsky to Auden to Charlie Parker to Joey Ramone – would shuffle past his tomb. -- Russell Shorto, from his book "The Island at the Center of the World." There are other historical notables buried in the churchyard, one being Daniel Tompkins, a former governor of New York (1807-1817) and Vice President of the United States (1817-1825). Some contemporary Memorial plaques on the church facade in the east churchyard. The church web site states: "Support for the arts is an integral part of St. Mark’s community-based mission. Poetry, theatre and dance have co-existed at St. Mark’s providing a neighborhood and national forum for original and provocative performances. W.H. Auden, William Carlos Williams, Edna St. Vincent Millay, Kahil Gibran, W.H. Auden and Allen Ginsberg have taken part in poetry readings. Isadora Duncan and Martha Graham danced at St. Mark’s, and Sam Shepard produced his first plays here. Today three innovative projects are housed at St. Mark’s: The Poetry Project, Danspace Project and Ontological-Hysteric Theater." The Saint Mark's in-the-Bowery west churchyard is a lush green space in summer, shaded by a canopy of many trees. It is a little "secret garden" of sort, a quiet oasis where you can sit and rest and retreat from the crowded city. I think it's a fitting that it is known as "The Healing Garden." A sign in the churchyard. Another view of the west churchyard. The white building in the rear is the historic Ernest Flagg Rectory of Saint Mark's. There were quite a few people enjoying a Sunday afternoon in the yard. One of my favorite photos of the day: a beautiful red rose resting above the rusted iron fence of the churchyard. In a place with so much history it was a small reminder to me to enjoy each precious moment, as life, and the world, are ever changing. 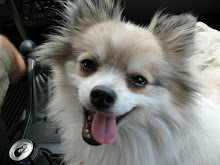 I'm adding this post to the weekly "Outdoor Wednesday"event on Susan's blog A Southern Daydreamer. Please visit Susan's blog today to see links to all the blogs participating with their wonderful outdoor posts. I blogged about the plethora of pink roses in The Cranford Rose Garden in the Brooklyn Botanic Garden for Pink Saturday, on this post", and now I'd like to show you some of the other beautiful hues of roses that I saw there for Mary's "Mosaic Monday" event going on over at her Little Red House blog. ...but my favorite color was the luscious lavender colored roses ...they looked so delicate and rare! 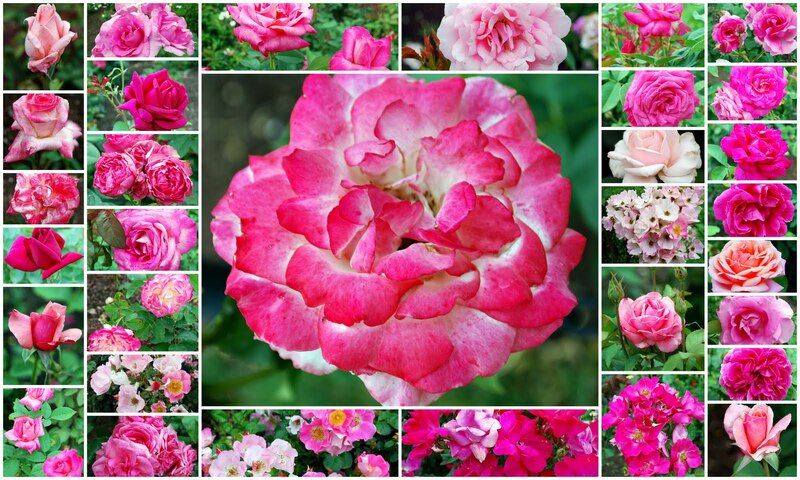 What is you favorite rose color? 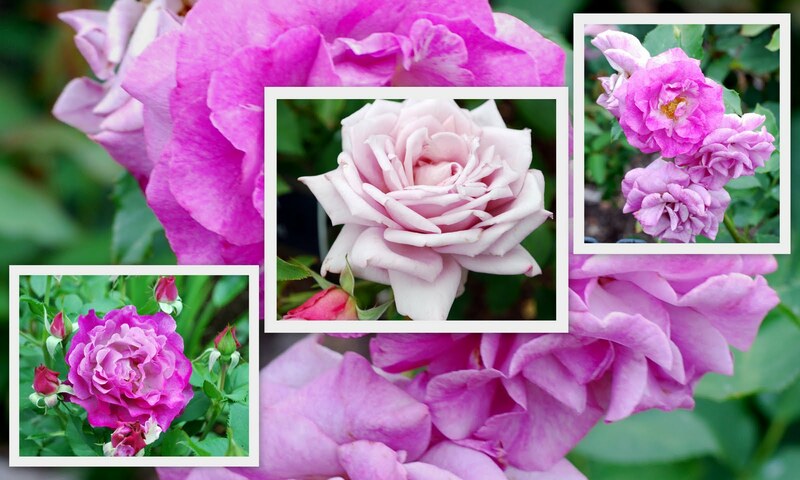 I visited The Cranford Rose Garden division of the Brooklyn Botanic Garden last weekend, and as you can see by the photo collage above there were a plethora of pink roses in bloom, one more exquisite than the other! In 1927, Walter V. Cranford, a construction engineer whose firm built many of Brooklyn's subway tunnels, donated $15,000 to BBG for a rose garden. Many of the original plants are still in the garden today. 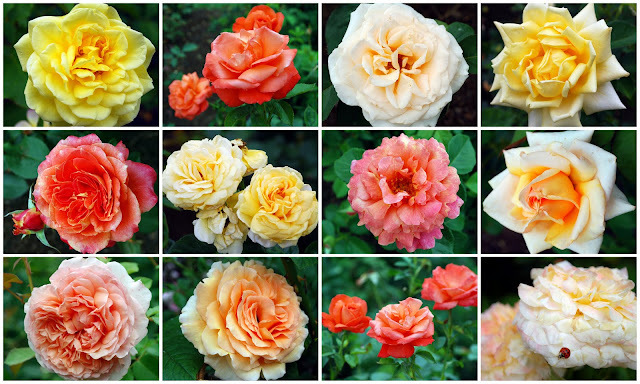 The Cranford Rose Garden has one of the largest collection of rose cultivars in North America. It contains over 5,000 bushes of nearly 1,400 varieties, including wild species, old garden roses, hybrid teas, grandifloras, floribundas, polyanthas, hybrid perpetuals, climbers, ramblers, and miniatures. Unfortunately in 2009 a virus caused the demise of many of the cultivars in the southern end of the garden and led to a major renovation, remediation and restoration project. You can read about the problem in the placard below and the solution being used to re cultivate the soil and plans to replant the damaged areas. Thankfully the major portion of the rose beds were unaffected by the virus and are flourishing. 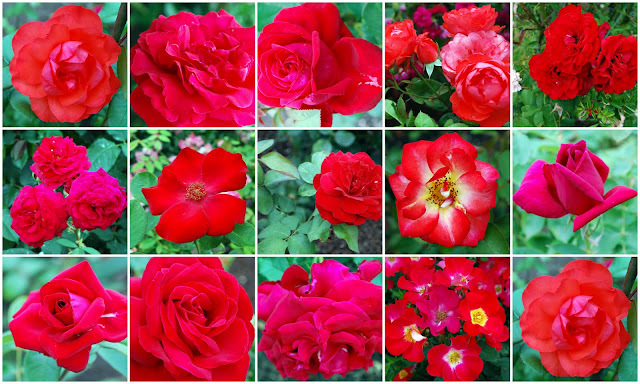 Roses, roses, sweet roses everywhere! There is simply the rose. It is perfect in every moment of its existence." Each rose plant is labeled with a name and the date it was introduced. A young artist was in the garden the day I visited, completing her pink rose painting. roses, as they rain from off the shaken bush. Why will it not? be like sleeping and yet waking, all at once." I have visited the outstanding Brooklyn Botanic Garden many times before, and if you would like to see all the blog posts I've written about it previously you can click this link to scroll through all of them. I'm linking this post to "Fridays Finding Beauty" event on Claudia's blog "Dippity Road" and "Pink Saturday" event on Beverly's blog "How Sweet The Sound." Thank you Claudia and Beverly! 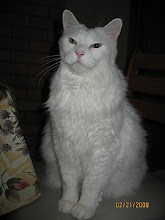 It is always so nice to join in on your blog events and I encourage everyone to visit your blogs to see the links to all the other blogs participating today and tomorrow.